I can't recall if it was in a DC or Marvel comic book, but there was a story about the man who made his ill-gotten gains from hiring out the henchmen who worked for various super-villains. I'd like to think this same character had a televersion who had business dealings with all of the colorful villains who plagued Gotham City back in the 1960s. 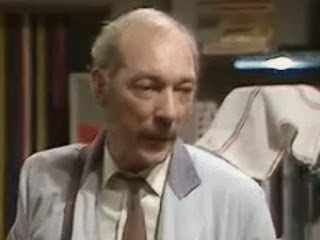 And there is another character who was never seen on 'Batman', as well as a few other TV series*, but whose work was evident in almost every episode. I'm talking about the inventor who created all of the deadly traps and other dangerous props used by the villains in their attempts to subdue and kill the Dynamic Duo. 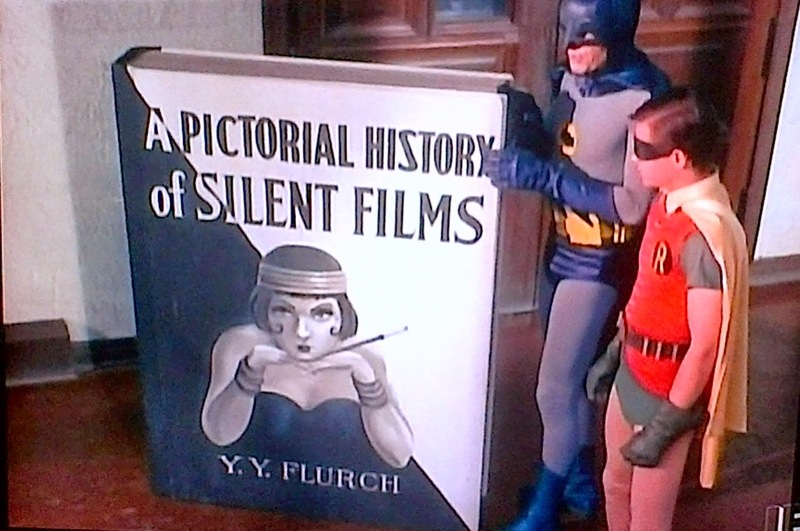 One such prop can be found in the 'Batman' episode "Death In Slow Motion" - a giant book that had been made for the Bookworm. Astute readers and avid fans of 'Batman' must think they found an error in that statement above. After all, it was a prop used by the Riddler which contained two riddles for Batman & Robin. This is true; however, I said it was made for Bookworm. But at the time, the Bookworm couldn't take possession of it from the avaricious artisan who built it. He may have been in prison, perhaps short on the funds needed to pay for it. Whatever the case may have been, the Riddler bought it for his own use in his silent film caper. It's not unusual for a member of a family to alter the spelling of their last name. Sometimes it was done for them by the government upon arrival into the country at Ellis Island. President Ronald Reagan had cousins who spelled the family name "Regan". So making the claim that a character named Micky Timpson in an episode of 'Scott & Bailey' could be related to the notorious Timson clan who basically kept the roof over the head of Horace Rumpole and his wife "She Who Must Not Be Named" is not much of a stretch. Toobworld Central declares it a perfectly valid theory of relateeveety. LITTLE BIG SCREEN: "KING KONG VS. MIGHTY JOE YOUNG"
When Mac was finally home from two weeks with the Naval Reserve where he had worked hard to save a young woman in the Navy from being convicted of murder, Sally decided to tease him by denying him her sexual favors. She professed an interest in watching a late night movie instead and while looking through the TV Guide, she found the perfect one - "King Kong Vs. Mighty Joe Young". There are two ways to look at this. Sally could have just made that title up as part of her teasing. Or there really was a movie in Toobworld by that title and she really did see it listed in the Guide. If it was a real movie in Toobworld, it was probably made in the 1950s. Mainly because the original "Mighty Joe Young" film came out in 1949, but also because it had to be around long enough to be relegated to the late night lineups. This could be one of those movies directed overseas by Cortland Evans when he was blacklisted in America. As for actors in it (besides the guys in the ape suits), maybe it was one of Dash Riprock's first leading roles, with Quirt Manly as the already established main actor. "Point Of Order" was the last episode of 'MacMillan & Wife'. Susan Saint James left the series and it continued on as just 'MacMillan'. Apparently, Sally died in a plane crash at some point between the two iterations of the series. Yes... 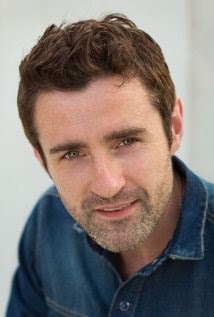 I'm declaring Stuart MacMillan to have been a murderer who got away with it. "You know what I love about this country? Where we came from, what we did to get here. History is last week's People magazine." When TV characters talk about People magazine in Toobworld, they are not referring to the publication to be found in the real world. It's to the magazine from Howard Publications that could be found in 'The Name Of The Game'. Its publication was overseen by Glenn Howard and Jeff Dillon was one of its main writers. 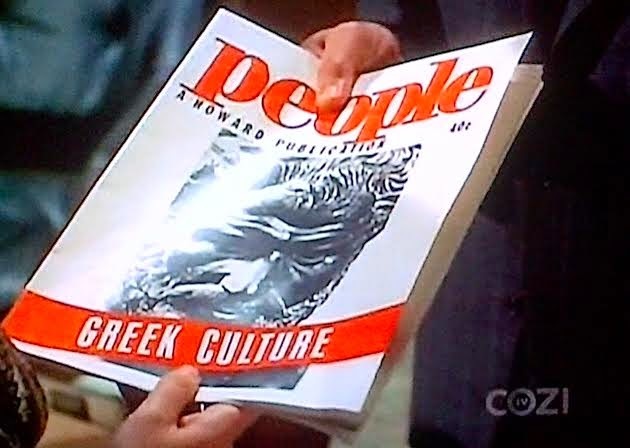 As we can see, using that premise, Howard Publications was still publishing People in 1991 and with every mention of the magazine since then in dialogue from many TV shows, both dramas and sitcoms, it will always be considered the fictional magazine found on Earth Prime-Time. It appears that the greater TV Universe will be getting another version of the John Hughes movie "Uncle Buck". It already has a televersion in Earth Prime-Time which starred Kevin Meaney in the John Candy title role. So this new version would need to be placed in an alternate TV dimension and the casting of the lead character has made the choice out of multiple Toobworlds easy. 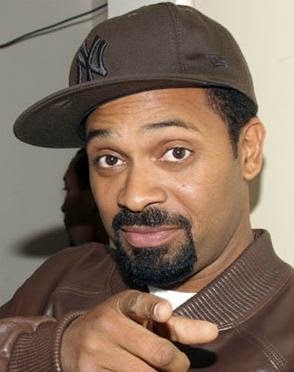 The article pointed out that ABC might have a publicity nightmare on its hands if they stick with the name "Buck" for a black man. But even if they change it (which would mean losing the publicity cache of the movie tie-in), I think it should still be left in the alternate TV dimension of Black Toobworld. Should this sitcom make it to air, it would join the likes of the black versions of 'Kojak', 'The Odd Couple', 'Ironside', and the cinematic adaptation of "The Honeymooners". So I thought maybe I'd share some of the candidates as I find them, and add a splainin as to why I think they're eligible. Super model and actress Cindy Crawford is a patient of Dr. Tom Gazelion at Gulfhaven Memorial Hospital. 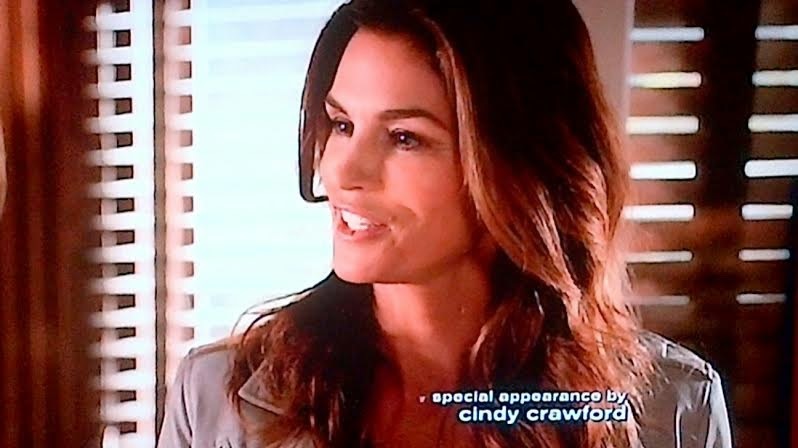 Tom is the chief neurosurgeon at Gulfhaven Memorial, so the question is: Why was Cindy Crawford seeing him? I hope her televersion gets better!